Two separate neighbors approached us this week to ask if Amanda was pregnant. One congratulated us with homemade ice cream and cake. I think that was a very nice gesture. Was the ice cream good? Did you try it? 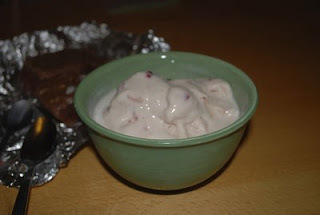 I like home made ice cream! We'll make ice cream the next time you visit. Awesome. Sounds like Stinesville is coming around.